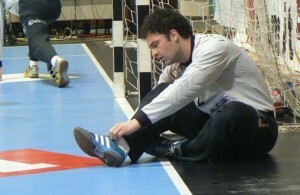 Home / Index category / BYE BYE BUNDESLIGA: Darko Stanic to Kuwait Sports Club! BYE BYE BUNDESLIGA: Darko Stanic to Kuwait Sports Club! Serbian goalie Darko Stanic (36) left DKB Bundesliga team Bietegheim as he couldn’t help their aim to avoid relegation this season. The German team is stucked at the bottom of the league table which caused a mutual agreement between the Management and the famous goalie, which gave him a chance to sign short-term contract with the team from Kuwait – Kuwait Sports Club. The next challenge, for the former member of RK Metalurg, RK Crvena zvezda and Cimos Koper, is Gulf Cup in Abu Dhabi from 19 March to 1 April. Stanic will stay between the posts in Rhein Neckar Lowen from the next summer. 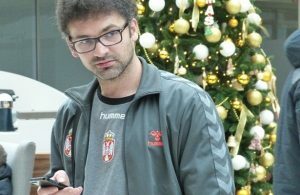 Serbian NT goalie Darko Stanic retires! Qatari El Jaish Sports Club promote new members!